Patricia Anne McKillip is an American author of fantasy and science fiction novels, distinguished by lyrical, delicate prose and careful attention to detail and characterization. 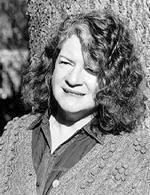 She is a past winner of the World Fantasy Award and Locus Award, and she lives in Oregon. Most of her recent novels have cover paintings by Kinuko Y. Craft. She is married to David Lunde, a poet. According to Fantasy Book Review, Patricia McKillip grew up in Oregon, England, and Germany, and received a Bachelor of Arts (English) in 1971 and a Master of Arts in 1973 from San Jose State University. McKillip's stories usually take place in a setting similar to the Middle Ages. There are forests, castles, and lords or kings, minstrels, tinkers and wizards. Her writing us Patricia Anne McKillip is an American author of fantasy and science fiction novels, distinguished by lyrical, delicate prose and careful attention to detail and characterization. She is a past winner of the World Fantasy Award and Locus Award, and she lives in Oregon. Most of her recent novels have cover paintings by Kinuko Y. Craft. She is married to David Lunde, a poet. JANUARY FANTASY: This poll decides which book will be our January Fantasy BotM.